After combing through bookstores, she received first hand feedback that these stores did not have many present-day mosaic books because few were published at the time. To her surprise, the book stores data showed that it was their most requested topic. While she thought she was doing her literary agent-friend a favor by telling her of this little known topic, the agent simply put it back in JoAnn’s court and suggested she write it. That is when she joined forces with her partner in writing Leslie Plummer Clagett. Tile Art of Mosaic: Design soon appeared on those empty bookstore shelves. Fast forward 10 years, JoAnn felt she had more to update about the intercontinental mosaic renaissance. By the time she went to work on Mosaic Art and Style, technology had greatly expanded making global communication much easier. With her first book she found herself a slave to the fax machine since the internet and email were limited tools in the early 1990’s. Also, artists did not communicate the way they do now. Internet blogs and websites did not exist in magnitude that they do at this time. JoAnn remembers, “Artists worked in complete isolation.” She attributes the recent culmination of SAMA (Society of American Mosaics) to an increase in networking among mosaic artists. She started the book, this time on her own, with a call for submissions and selected the criteria based upon “the quality and uniqueness of their work.” She wanted to get a good cross-section of artists both geographically and with different featured tesserae. “I couldn’t have the book be only about glass artists, there are so many materials.” She was looking for an exceptional profile of artists with a vision that is uniquely identifiable. When the submission started coming in and her questionnaires filled out, JoAnn said, “I was heartbroken to see how many fabulous artists turned in horrible photographs.” She hopes glass artists realize how critical it is to have good photography of their art. “You can’t have mediocre photography,” she says. Now while this book has rich color photographs on every page, don’t expect this to be a ‘how-to’ book. JoAnn laughs, “No it can’t, because I’m not a mosaic artist. I’m quite passionate about the art form. Everyone has a role, my role is to write about it and promote it.” Her job as a public relations consultant to individual artists as well as large companies, like Orsoni, keeps her in touch with this passion. The book features profiles of more than 75 mosaic artists from a broad range of countries. The pages reveal designs in the living environment which means furniture, flooring, sculpture, found objects, hotels, and restaurants. The photographs illustrate both magnified detail and overall atmosphere of the surroundings. Most artists and designers will find this book inspirational in the scope of ideas-in-the-making as well as the validation that really anything is possible with mosaics. 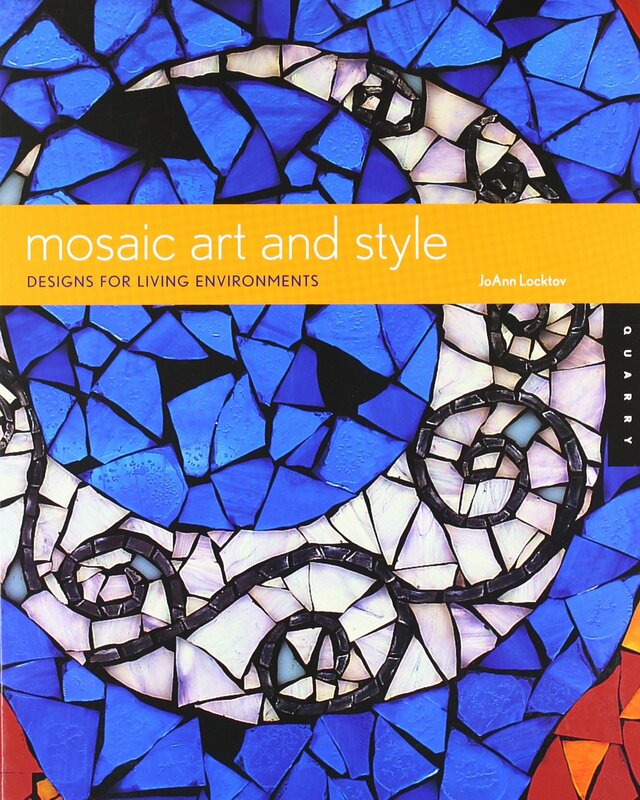 You can buy the book Mosaic Art and Style on Amazon. JoAnn has written a number of fascinating articles on mosaics, which you can find filed under the Tileista tag.